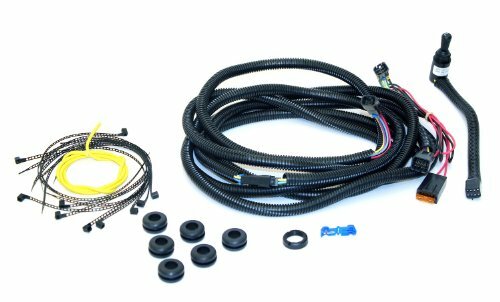 This universal wiring harness loom is designed for the Street Scene Equipment Cal-Vu Sport mirrors. The harness will require hard wiring (tapping) into the vehicle factory wiring harness for power. Professional installation is recommended as wiring into the vehicles factory wiring harness can cause severe problems to the vehicle if done incorrectly. Drilling is required for proper mounting of the mirror control switch (included with the kit). Street Scene Hood Scoops are designed to provide excellent air flow to the engine system. They are made from highly durable material which provides long lasting durability. 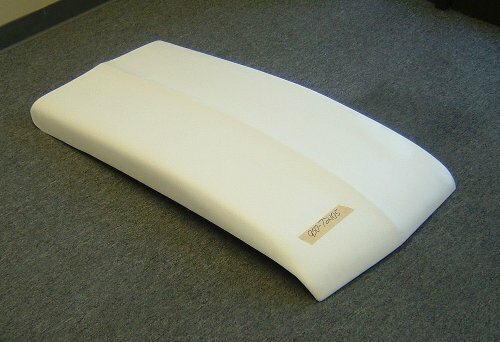 These hood scoops are corrosion resistant and ensure easy installation. 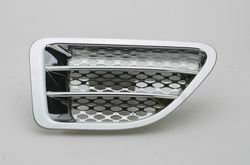 Street Scene Chrome Fender Vents are designed to allow excellent air flow. They feature a chrome finish which provides a long lasting durability. These fender vents are rust resistant and include tapes which ensure easy installation. License Plate Light KitReplacement light kit for roll pan or street scene flip up license plate kit. The size of this light is 3 inches long by 1 inch wide by 1/2 inch deep. You do not need to order this light kit if you are already ordering the flip up kit as the flip up kit comes complete with this light kit. Street Scene offers the most complete line of front valances bumper covers side skirts roll pans grilles mirrors hoods wiper cowls and other styling components in the marketplace today. These Street Scene hood scoops will give your ride a new look. They are manufactured from high-quality fiberglass and feature a paintable black finish. 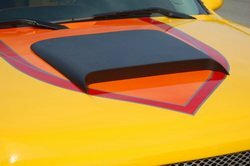 Available in several different designs and shapes the Street Scene hood scoops will make your vehicle stand out in a crowd.